Mahindra Two Wheelers has launched the all-new Mahindra Gusto 125 today in 8 states in India, further expanding its growing presence in the scooter segment. 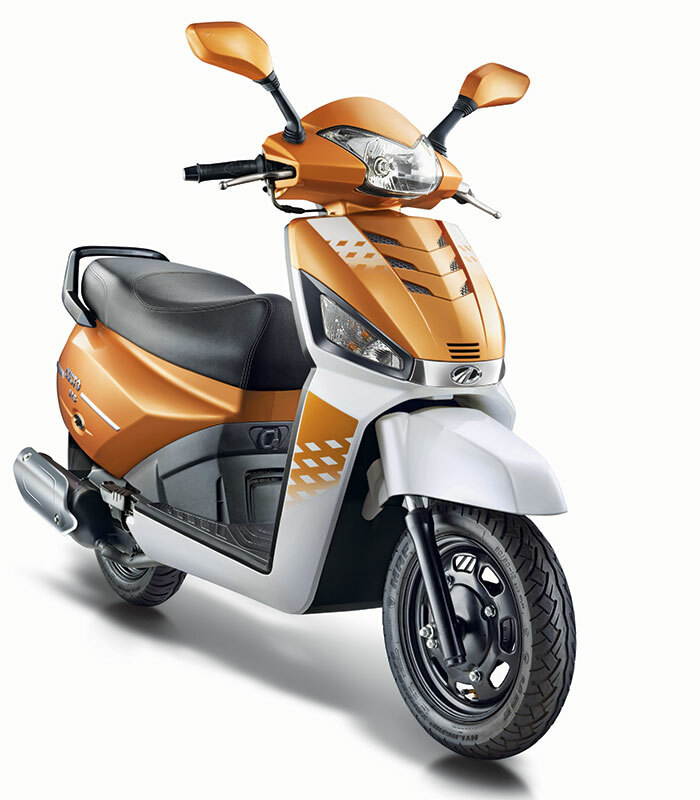 Four new unique head-turning styles – The Gusto 125cc is available in four distinctive style options of “Orange Rush”, “Bolt White”, “Monarch Black”, and “Regal Red” and is sure to grab attention on Indian roads. 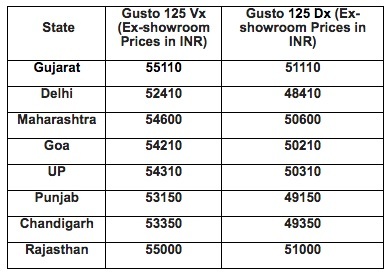 Gusto 125 was initially launched in the Southern states of India and will now be available across dealerships in 8 new states before being rolled out across the rest of the country as well. It will be supported with a comprehensive multi-media marketing campaign. Since its launch last year, Gusto has grown consistently and we are now excited about extending the Gusto brand into include new consumer segments. The all-new Mahindra Gusto 125 is bound to turn heads on roads in India as it is packed with a powerful 125 cc M-TEC engine with load sensing MCDi technology and stylish looks to match! We continue with Gusto’s innovative car-like features, like India’s only Height Adjustable Seat, that makes the new Mahindra Gusto 125 a complete, fully loaded scooter that is sure to delight consumers. Height Adjustable Seat: India’s only scooter brand to offer a Height Adjustable Seat. Ride Quality: Large 12 inch wheels with tubeless tyres, front telescopic suspension with air springs, long stroke hydraulic rear suspension, high ground clearance, and wide wheel base ensure best-in-class ride quality, safety, and stability. The Gusto 125 is also being launched globally across Asia and Central America.